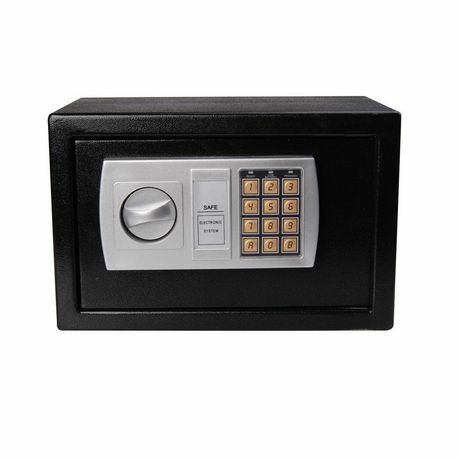 Our HomCom 12" x 8" x 8" Electronic Digital Security Safe Box is a cost-effective yet secure way of ensuring your belongings stay safe. It has a great compact size for use in your home, office or business for storing your valuable items. 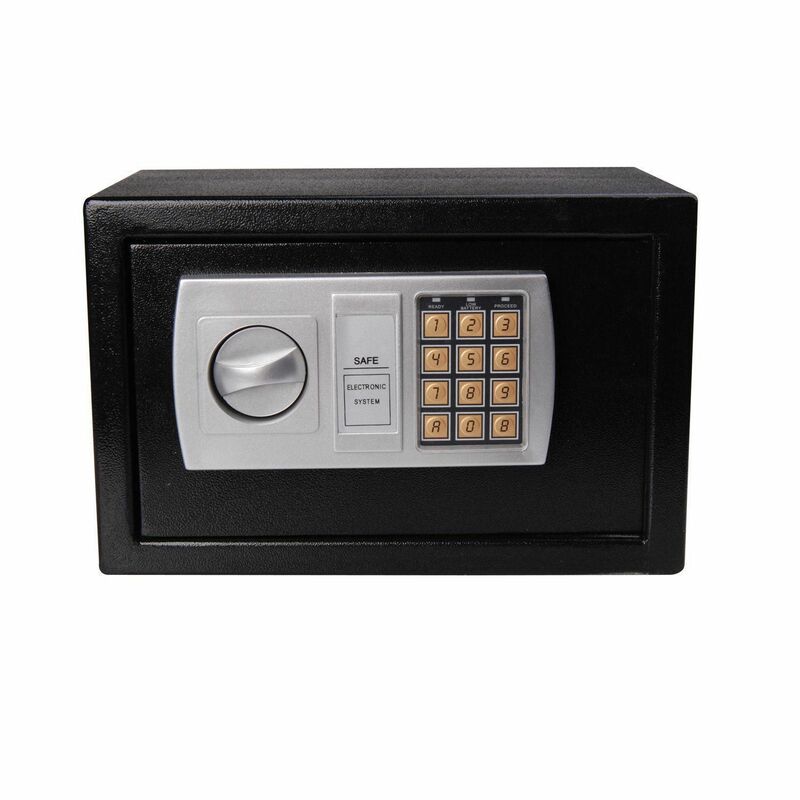 Quality constructed with higher-end features such as heavy duty 1/8" thick solid steel walls, interior mount tamper-proof hinges, digital locking mechanism programmable with up to an 8 digit PIN and heavy-duty 3/4" chrome steel pin bolts locking mechanism (more secure than just a latch system).